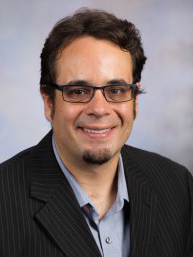 Walter Leite’s current research program consists of developing and evaluating statistical methods to strengthen causal inference and understanding of causal mechanisms using non-experimental data. Leite investigates innovative application of these methods to educational research performed with large datasets from state departments of education (e.g., Florida’s FCAT data), nationally representative educational surveys (e.g., the National Longitudinal Survey of Youth), and massive datasets from virtual learning environments (e.g., UF’s www.AlgebraNation.com). He addresses obstacles to effective program evaluation with non-experimental data such as selection bias, measurement error, and attrition bias. This research program is of very high relevance, because, in the last decade, there has been a huge increase in collection of non-experimental educational data driven by the accountability mandate of the No Child Left Behind Act, and the recent proliferation of virtual K-12 schools, e-learning management systems, intelligent tutoring systems, and massive open online courses (MOOCs), as well as great need for evaluation of educational programs using state and national data. The methods that Leite investigates take advantage of the longitudinal nature of these data and the large number of variables available to answer causal questions about treatment effects, mediation and moderation.